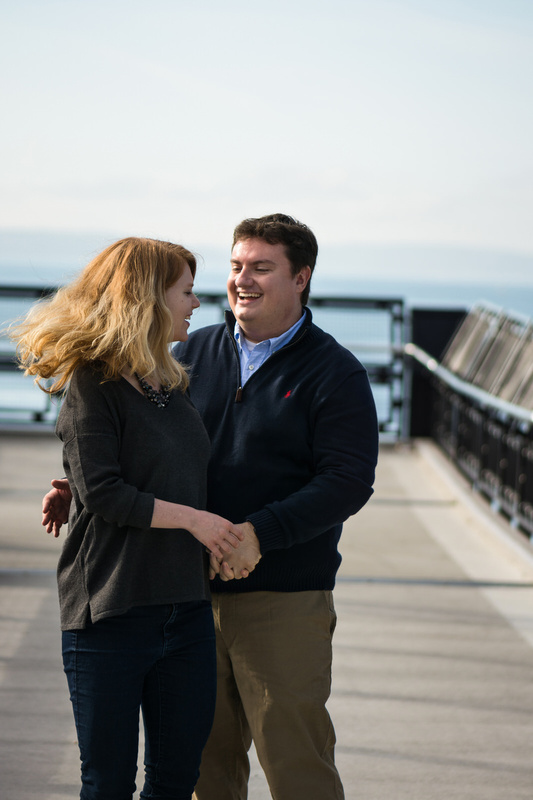 Please join Erin & Matt on October 10, 2015 as we celebrate our wedding in the Pacific Northwest. Erin grew up in Poughkeepsie, NY, where she was raised by her loving parents, Margie and Kevin. She was an animal lover all along, with her great pets Bugsy, Hopper, Sam, Molly, Riley, and Zeezoo. She loves the outdoors and was active in 4H. Erin went to Penn to study biology and psychology, graduating in 2009. She played the trumpet in the Penn band, and attended every Penn basketball and football game, even adopting the tradition of throwing actual toast after halftime. After college, Erin pursued her Master's of Public Health in Epidemiology at Emory University, in Atlanta. Unfortunately her southern accent didn't stick. She took a brief break to work in clinical research at Johns Hopkins University, in Baltimore. She's never seen The Wire, but apparently has visited many of its locales. Erin is a published research author, with the Center for Injury Prevention at the Centers for Disease Control. Her work has earned a name for herself, and she soon found work in Seattle, where she could be closer to Matt. In January 2014, Erin permanently relocated to Seattle, bringing Butterscotch the cat with her. Soon thereafter when the Seahawks won the Super Bowl, she knew she had made the right choice in moving to Seattle. She now loves Thai food, skiing, watching the Seahawks, Mariners, and Sounders, and has even come to love oysters. Matt is an engineer from Cincinnati, Ohio, with a love for barbecue, beer, and Star Wars. He graduated with a dual degree in statistics and computer science from Penn in 2009, and upon graduation, moved out to Seattle to work in the tech industry, where he has been ever since. He is an avid traveler, and is the best at planning vacations, from finding good bars and restaurants to discovering the best places to visit and stay in a new city. This stems from a childhood of traveling, as he spent a year living in Venezuela as a baby, and has been to Disney World about 100 times (his estimate). Before living with Erin, Matt was never much of an animal person. After being together in Seattle for a year, he is still not much of an animal person, but he has a soft spot for her cat Butters, his new little "buddy." They love to cuddle on the couch and play video games together. Butters has gotten pretty good at Destiny. Matt and Erin met as freshmen at the University of Pennsylvania in the spring of 2006, through mutual friends. They were friends all throughout college, and even lived in the same Philadelphia row home for a year, but never dated. After going their separate ways upon graduation, Erin and Matt reunited at an alumni day reunion in May of 2011. Despite living on opposite coasts, they realized that there was more to their friendship and began dating long-distance. After 2.5 years of dating, Erin moved to Seattle to be closer to Matt, and they both now call the Puget Sound area home. Matt and Erin planned a trip to Europe in September of 2014, to Paris, Berlin, and Munich. 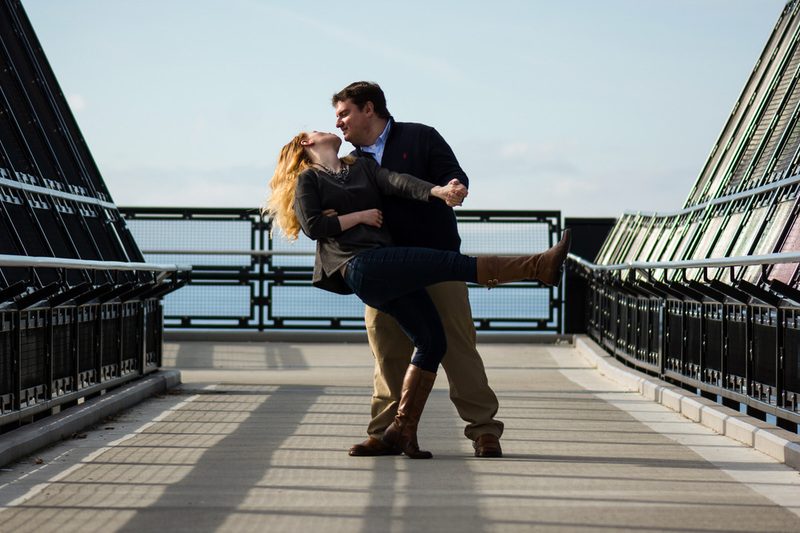 Although this seemed like the opportune time to propose, Matt convinced Erin not to get her hopes up for the trip - just to have fun. On their second night in Paris, Matt took Erin up to the top of Sacre Couer, for a view of the city at sunset. He got down on one knee and surprised her with a ring. She said yes :-). They followed by celebrating with crepes and champagne.